IMDb dates the composition 1929. 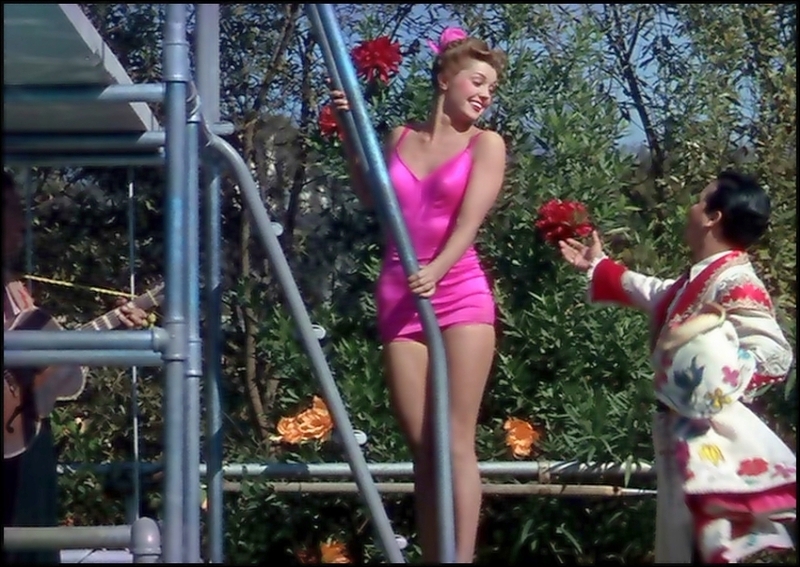 In 1944 the song was used with the original Spanish lyric in the Esther Williams film Bathing Beauty, performed by Carlos Ramírez with the Xavier Cugat Orchestra. 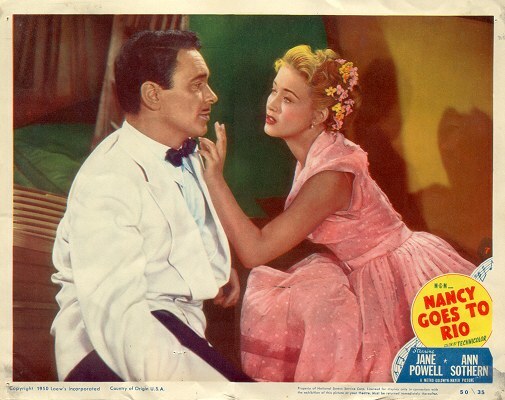 With an English lyric written by Charles Pasquale, the song acquired the second title, “Magic is the Moonlight.” According to IMDb, in addition to the Cugat and Ramírez performance, the song was played during the opening credits, whistled by Red Skelton, and appeared often in the score. 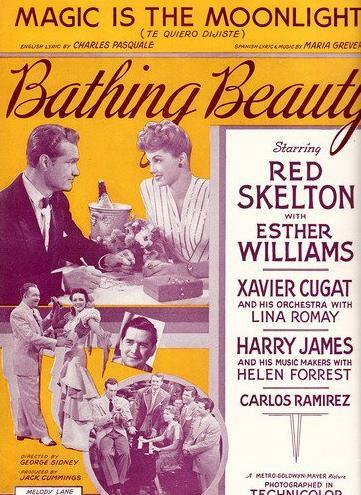 It’s not clear to me whether the English lyric was used in the film at all, though the sheet music cover below suggests that the English lyric was published or republished around the time the film was released. Rosita Serrano…was a Chilean singer who had her biggest success in Nazi Germany between the 1930s and the early 1940s. Because of her bell-like voice and pitch-perfect whistling she received the nickname Chilenische Nachtigall (Chilean Nightingale). 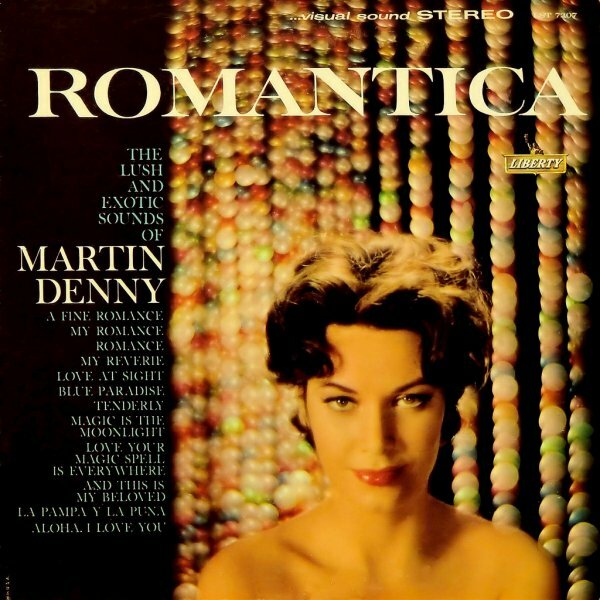 Rosita Serano was born in Viña del Mar, Chile on 10 June 1914. Her father Héctor Aldunate was in the diplomatic service. With her mother Sofia del Campo who was a popular opera singer she moved to Europe in the early 1930s. Initially they lived in Portugal and France but by 1936 they moved to Berlin. Serrano had her first successes in the Wintergarten and the Metropol Theater where she performed Chilean folk songs. 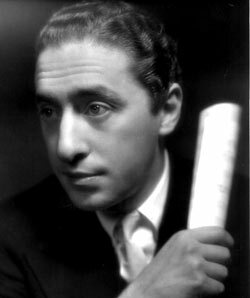 During that time she was discovered by German composer Peter Kreuder who managed that she got a record contract at the German Telefunken. 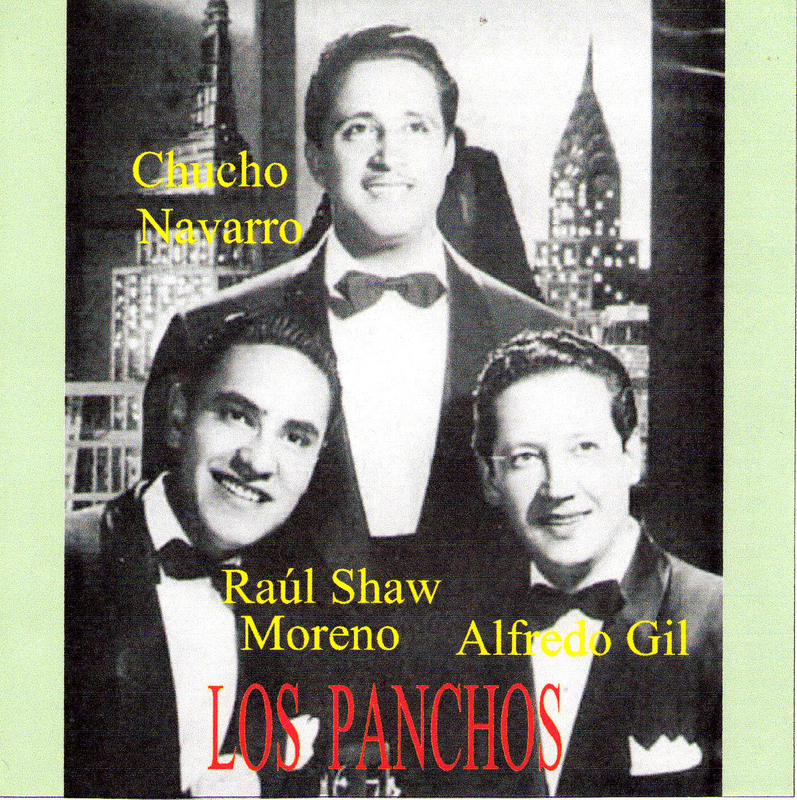 Los Panchos first met in 1944 in New York City. The three original members were Alfredo Gil and Chucho Navarro, both from Mexico, and Hernándo Avilés from Puerto Rico. 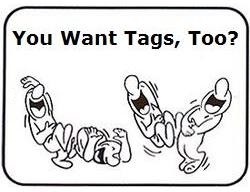 All three played guitar and contributed vocally. Los Panchos reached fame with their romantic songs, especially in Latin America where they are still regarded as one of the top trios of all time. They also appeared in around fifty movies mostly during the Golden Age of Mexican Cinema. 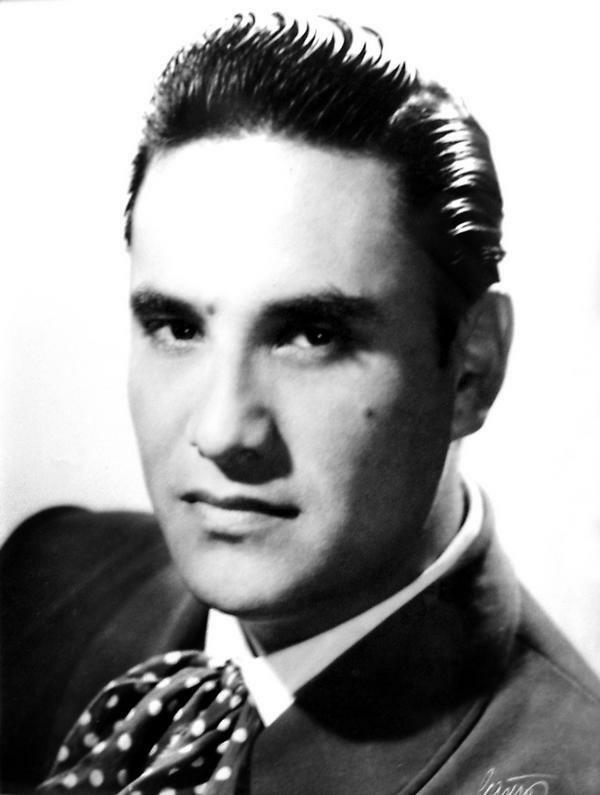 In 1951, in Santiago de Chile, Hernando Aviles, first voice of Trio Los Panchos left the band in full continental tour due to his frequent disputes with Alfredo Gil. In these circumstances, Alfredo Gil and Chucho Navarro travel to Bolivia, with the urgency of finding a replacement for Avilés, in order to continue the tour. 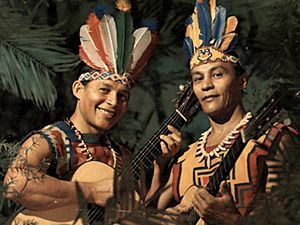 It is in these circumstances that, in the month of November 1952, Raúl Shaw Moreno auditioned for the two remaining members of Los Panchos, Chucho Navarro and Alfredo Gil. In a room of Sucre Palace Hotel, Magaly singing for them, being accepted to [immediately] replace Hernando Aviles. His debut as lead vocalist of Los Panchos comes at a recital A broadcast, as used in those years, in the Auditorium of Radio Minería in Santiago de Chile. 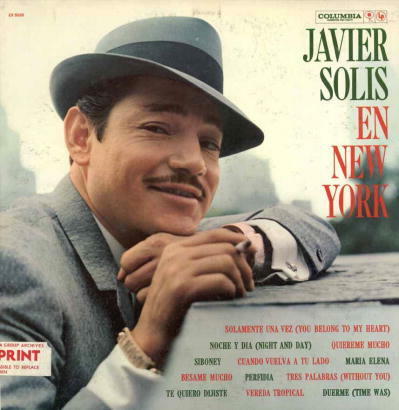 The introductory verse section, which is so integral to the early recordings by Tirado (1930), and Serrano (1938) that it is repeated once in each case, before the chorus begins, is entirely omitted here. 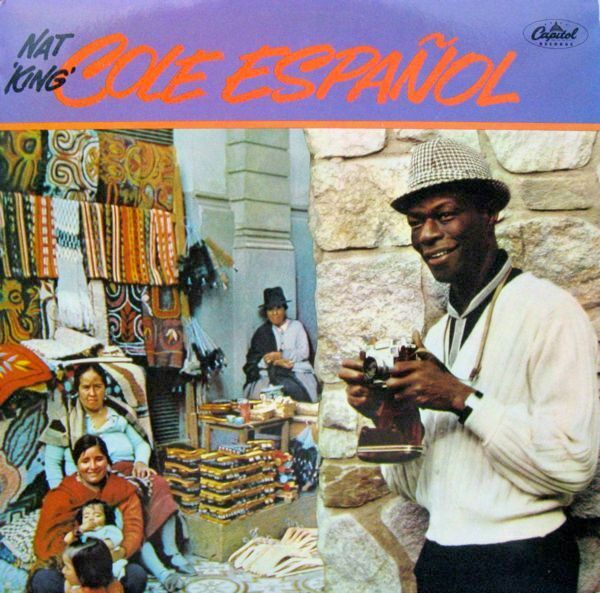 The verse section is also absent from Nat King Cole’s 1958 recording, and the versions by Gloria Lasso (1960), and Martin Denny (1961). 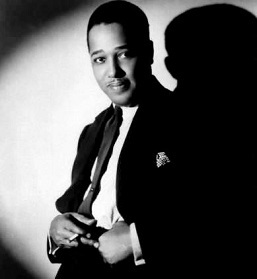 According to AllMusic.com, nine of the album’s eleven backing tracks, including this one, were recorded by conductor Armando Romeu, Jr., in Havana, Cuba, in February 1958, with Cole adding his vocals in Hollywood in June of that year. He did not speak the language, and learned the lyrics of the songs phonetically. Brought together for the 1990 World Cup in Italy, The 3 Tenors and Mehta joined forces again, this time in Los Angeles’ Dodger Stadium on July 16th 1994 with the Los Angeles Philharmonic and the Los Angeles Music Center Opera Chorus, to perform a selection of operatic arias and international favorites specially orchestrated by composer/arranger Lalo Schifrin. The result is an outstanding program, reflecting a unique event, featuring three legendary performers who share a united passion for opera and soccer.